It has been reported that Jamie O’Hara has ignored his love interest Bianca Gascoigne since leaving the Celebrity Big Brother house. The two celebrity housemates were accused of faking a showmance during their time on the Channel 5 series, and it seems as though the sceptics may have now been proved right. Despite dropping the ‘L’ bomb on one another in the CBB house, Jamie has allegedly not seen the Love Island star since Friday’s series final. According to The Sun newspaper, Jamie flaked on plans to attend Bianca’s club event over the weekend, which was later “cancelled due to poor attendance”. And his excuse? 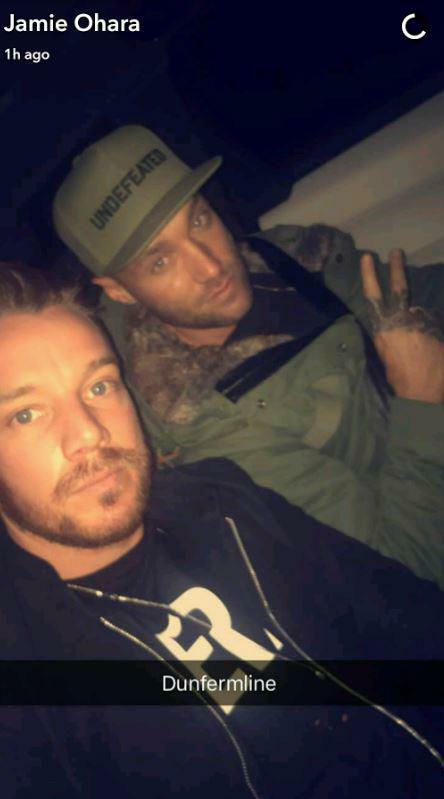 Well, it turns out the footballer had in fact been out clubbing with fellow housemate, Calum Best. A source revealed: “Jamie was surrounded by girls at the club – Bianca looked like the last thing on his mind. “He was out till the early hours after watching Drake at the O2 for a second time and wasn’t quick to bat off any attention at the club. During his exit interview on the show, Jamie insisted that his romance was not put on for the cameras. He said: “Bianca is amazing. She wouldn’t do anything for fame, she doesn’t need to. “What we had in there is 100 per cent genuine. I’m going to sit with her over the weekend and see what she wants. Meanwhile, Bianca recently branded her ex-boyfriend CJ Meeks “pathetic and disgusting” after he opened up to the press about his relationship with the reality star.